Database Design - Perception Consulting Ltd. Carefully thought-out database design is key to the success of any business intelligence initiative. How data is stored and managed is an issue that requires planning and proper execution. This will provide the business with the accurate information it needs, when it needs it. As data accumulates at today’s rate, it is arguably more critical than ever before. 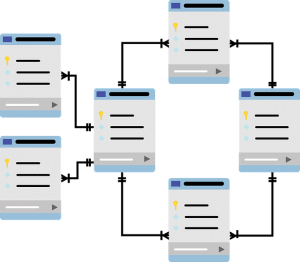 Database design involves understanding the business processes and requirements, the range of information to be stored and how it all fits together. Data needs to be structured in a logical manner such that information flows and suits the business needs. From a structural perspective, the database needs to be optimised for processing transactions and also the data needs to be stored in such a way that analytical querying is possible. The design is something that will need to be revisited as your business grows. The environment and structure will need to be reviewed as the business expands and changes and new data sources need to be brought into the mix. Often, business expansion comes with restructuring or an acquisition of other entities. In the case where a company acquires new subsidiaries, data challenges are presented due to the use of different systems and data architectures which need to be aligned and integrated. Perception can help in different ways, depending on where your business is on its journey. If you are an established business, we can support by assessing the performance and effectiveness of your current database model. Perhaps you’re facing a problem with one aspect of your data, or maybe you just need an assessment of the setup to review how it’s operating. You might want to optimise the structure to facilitate data-driven discovery and reporting and find that the original model is not meeting requirements. Or you may just be starting up and want to consult with people who have designed and implemented robust database structures for lots of other companies. Whatever your need, our experienced consultants can offer guidance and support. As part of the process, we will invest time in understanding your business and its objectives from a data perspective. We will carry out exercises in mapping, modelling and assess the optimal structure for your company.